The displacement is wrong. It's 2 liters not 2.5. This is a JDM Impreza. 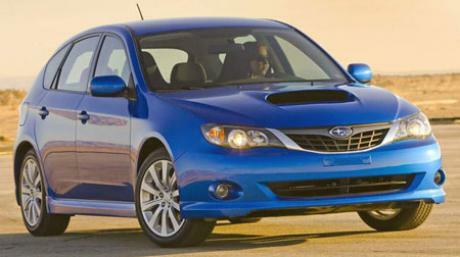 The only sport JDM Impreza which use the 2.5 liters engine is the A-Line (automatic version of the STI). This car use the 2 liters EJ20 engine. The 250 PS comes at 6000 rpm, the max torque comes at 2400 rpm. The transmission has 5 gears not 6. Please correct them!